“Disclosure, Realtors® do not make the real estate market, we just report what is going on”. 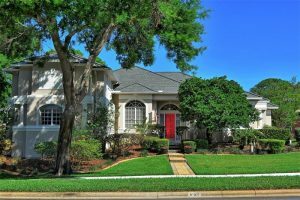 With what I am seeing, alarm bells should be going off; especially for sellers in the upper price range of the Lake Mary luxury real estate market. The information I am providing is derived from the Multiple Listing Service and is data based the first 5 months of the year ending in May 2018. 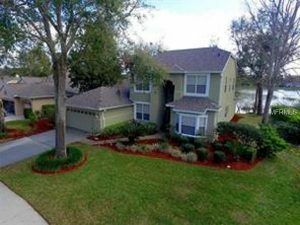 If you happened to live in The Crossings in Lake Mary, prices range between $200,000 to $350,000. You believe this is the best real estate market ever. If you happen to live in Heathrow Woods or in the Magnolia Plantation subdivision, then you think this is the worst real estate market you’ve seen in a long time. The Lake Mary market, especially right now is driven by lower price points. The market with prices of up to $400,000 is on fire. When it comes to Lake Mary real estate, the luxury market has fallen asleep. The Heathrow Woods subdivision, while it is a beautiful, stately development that’s man gated with homes situated on one plus acre lots, are just not selling. This is especially true in the upper price point. The median sale price for this year, with only 3 homes sold is $700,000. That is a price drop of 25% from the same period last year, which was $875,000. The median price per square foot dropped by 30% from $199.00 in 2017 to $153.00 in 2018. Sales dropped by 268%, from 11 sales in 2017 to 3 sales in 2018. The median price of all active and pending homes is $1,100,000 or $213.00 per square foot. There are just not enough luxury home buyers. Making your home as attractive as possible is the answer for those current or potential home sellers living in Heathrow Woods. 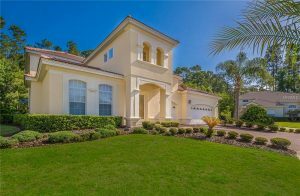 Heathrow, one of the premier gated communities here in Lake Mary is reflecting a decline in sales of 21%, as well as a median price decline from $425,000 in 2017 to $400,000 in 2018. 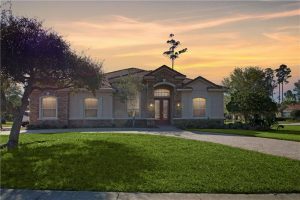 Overall, the Lake Mary residential real estate market is in a state of upheaval, especially in the upper price points. However, the overall homes sales, across all price ranges dropped 27% below for May 2018 alone, compared to May 2017. For the first 5 months of the year, homes sales dropped 10%. 37 fewer properties changed hands in 2018 compared to 2017. This is almost unbelievable because of the very strong economy, one would wonder what that is. I believe this has a lot to do with a shortage of affordable homes for sale, $200,000 to $400,000, and homes being priced too high in the luxury market, $500,00 and up. Therefore leading to luxury home buyers rejecting them based on price and quality. I might be wrong, but the prices seem to exceed the perceived value and therefore they sit on the market. Even the highly sought after Timacuan Golf community is seeing a backlog of homes for sale for the first 5 months of the year ending in May 2018. Sales declined by 110%, from 21 sales in 2017 to 10 sales in 2018. For Timacuan real estate, the median home price for the first 5 months of the year increased by 24% from $371,311 in 2017 to $462,000 in 2018. The per square foot price increased by 8% from $152.66 in 2017 to $165.88 in 2018. Could this be a reason for the huge decline in home sales? The backlog of unsold Timacuan homes is up to 8.5 months, making this a buyer’s market. Is the decline in the residential real estate sales a Lake Mary problem or is it Seminole Countywide? Sales in Seminole County have also declined for the first 5 months of the year by 3% while the median home price increased by 11% from $225,000 in 2017 to $249,000 in 2018. Lake Mary Real Estate Market Update for May 2018. The real estate market has seen a decline in sales in May 2018 compared to May 2017. The luxury market has especially seen in a decline in sales. It is a buyer's market. The back log of inventory is 8.5 months. There are a shortage of luxury home buyers. Advice is to sellers is to make your home as attractive as possible.